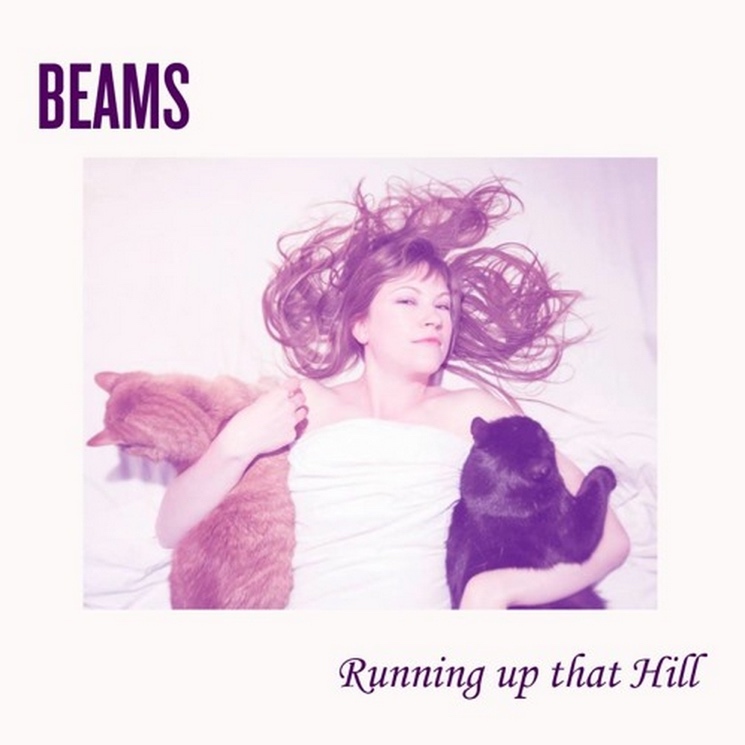 Toronto ensemble Beams are known for their rootsy stylings, but they have branched into new wave by covering Kate Bush's classic 1985 tune "Running Up That Hill." Although Beams are usually sonically distinct from Bush, this version is fairly faithful to the original. The cascading rhythmic pulse is preserved almost exactly and the vocals are closely modelled off Bush's distinct delivery. Even the artwork (above) is directly inspired by that of Bush's album Hounds of Love. All that being said, this is a slightly more organic take on the tune, as the synths are swapped out for guitars, and there's some rock muscle as the song builds to a crescendo. The track was recorded and mixed by Josh Bowman. Hear it below.